They call him The Terror of Torcliff. Lady Alexandra Lane has a deadly secret. When the spectre of her violent past threatens to expose her, Alexandra learns just how much she stands to lose. 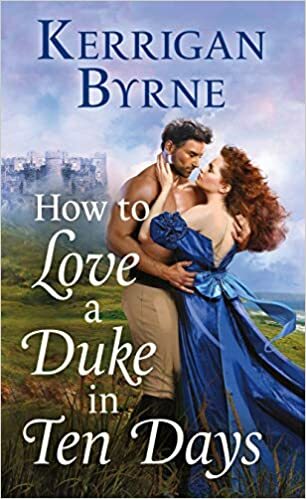 Whether she’s writing about Celtic Druids, Victorian bad boys, or brash Irish FBI Agents, USA Today bestseller Kerrigan Byrne uses her borderline-obsessive passion for history, her extensive Celtic ancestry, and her love of Shakespeare in every book. She lives at the base of the Rocky Mountains with her handsome husband and three lovely teenage girls, but dreams of settling on the Pacific Coast. Her Victorian Rebels novels include The Highwayman and The Highlander.